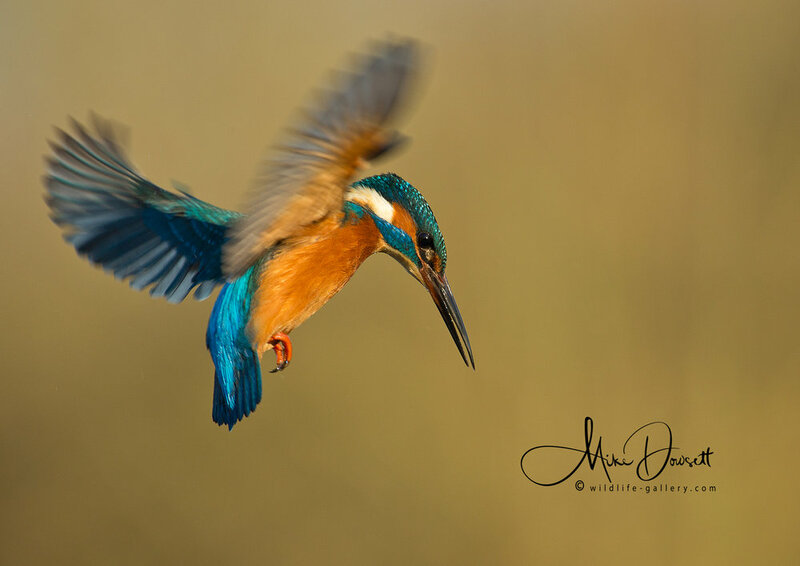 The Common Kingfisher (Alcedo atthis) are a small distinctively vibrant blue and orange bird that can be found flying very fast and low over water. 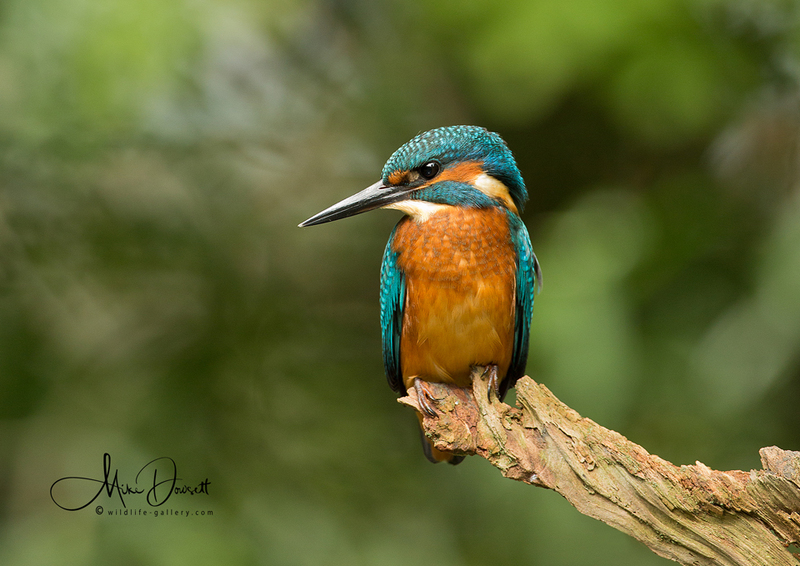 Kingfishers hunt fish from riverside trees and perches. 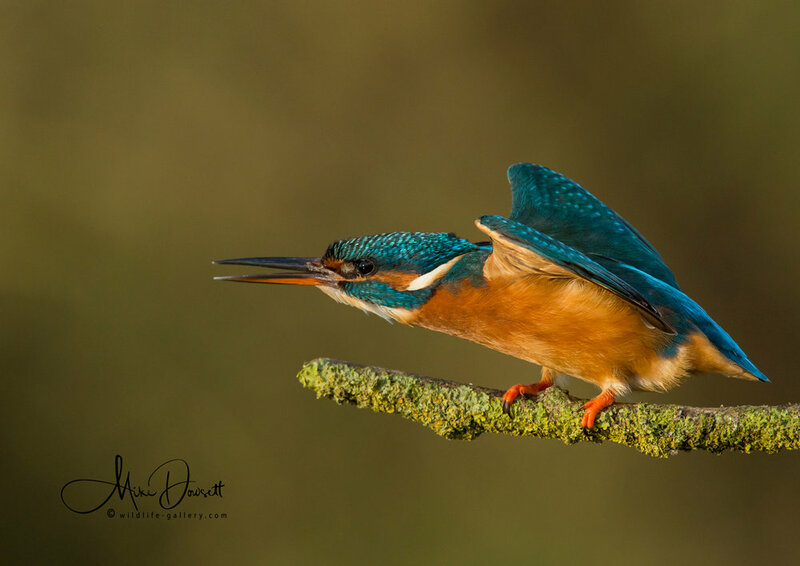 Occasionally (as can be seen in the gallery above) the Kingfisher can dive for fish from a hovering position, usually 1-2m above the water surface. 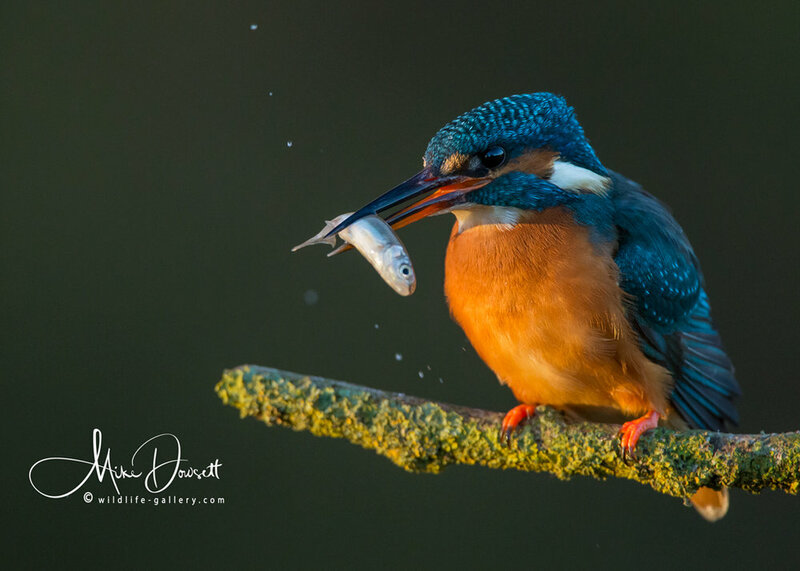 Kingfishers prefer slow moving streams/rivers and ponds, although can be found near any waterway that can supply plenty of small fish in water depths of up to 2m. 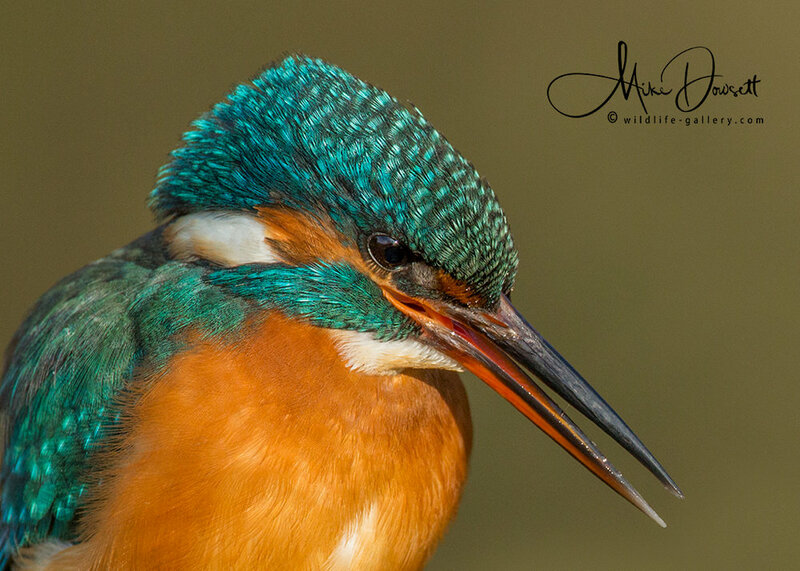 Kingfishers are susceptible to hard winters and habitat destruction through pollution or poor watercourse management. 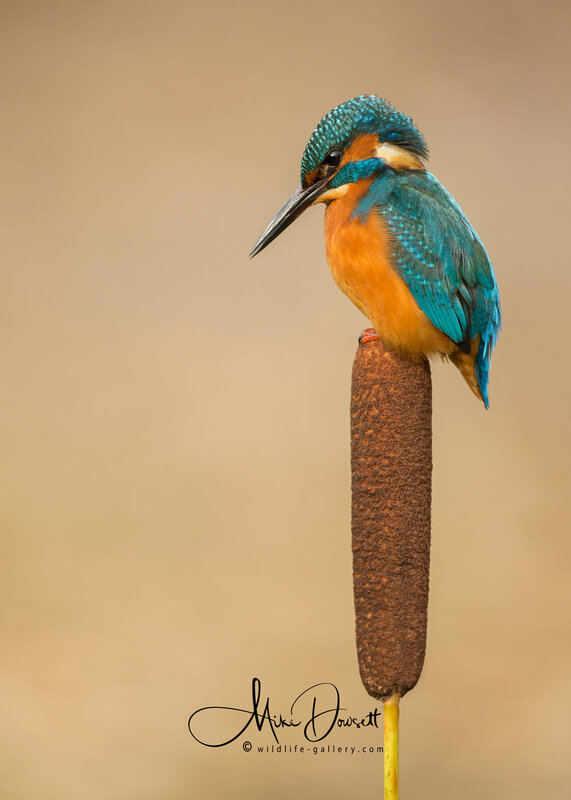 Kingfishers are amber listed in the UK because of their conservation status in Europe. 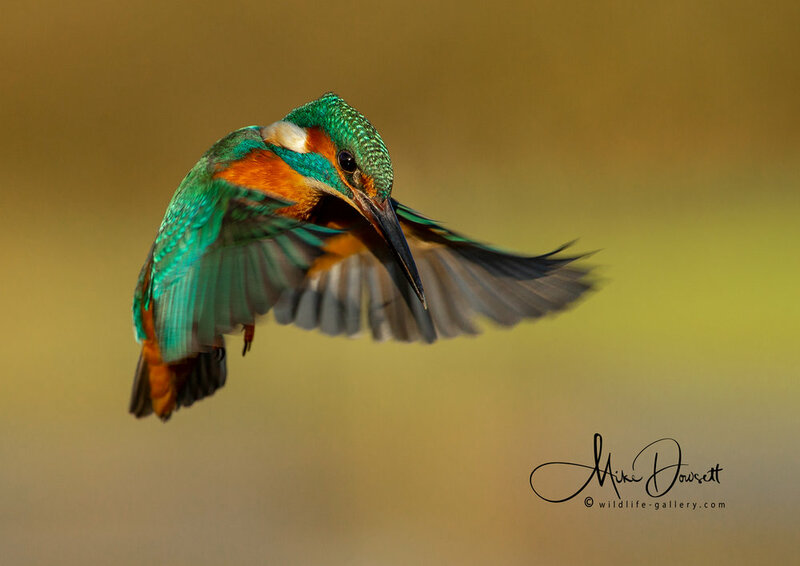 They are also listed as a Schedule 1 species under the Wildlife and Countryside Act which offers them additional protection. 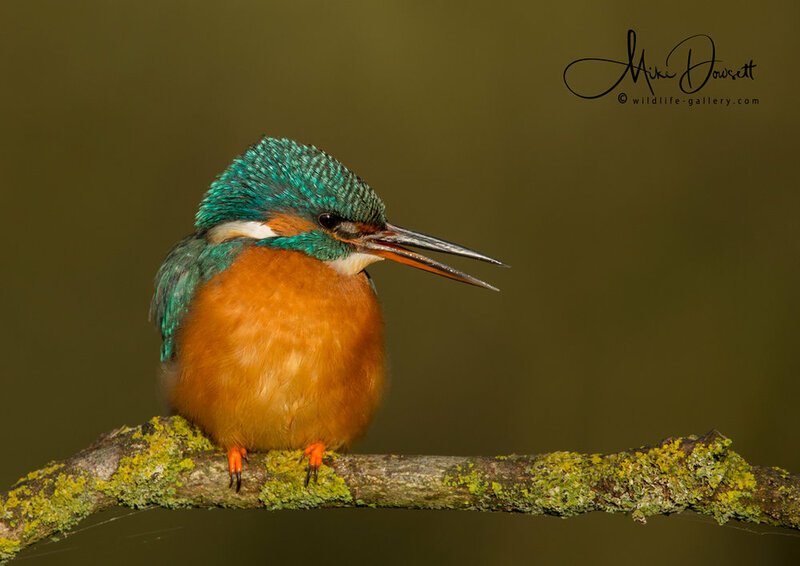 The biggest UK predator of Kingfishers are 1. Brown Rat, 2. Mink and 3. 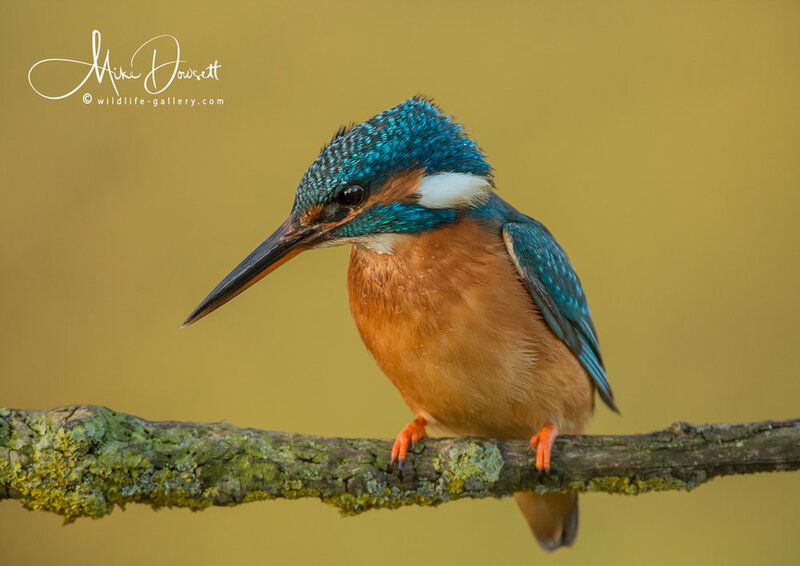 Stoat, however as mentioned above, a ‘harsh winter’ that freezes slow moving streams and ponds for several weeks, takes more Kingfishers lives than any predator group. 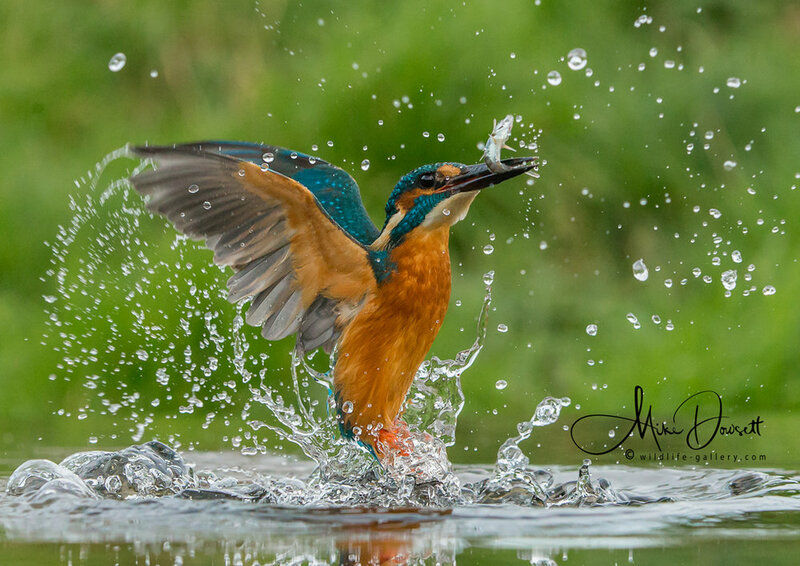 Lifespan for UK Kingfishers is up to 7 years, although many never make their 5th Birthday. 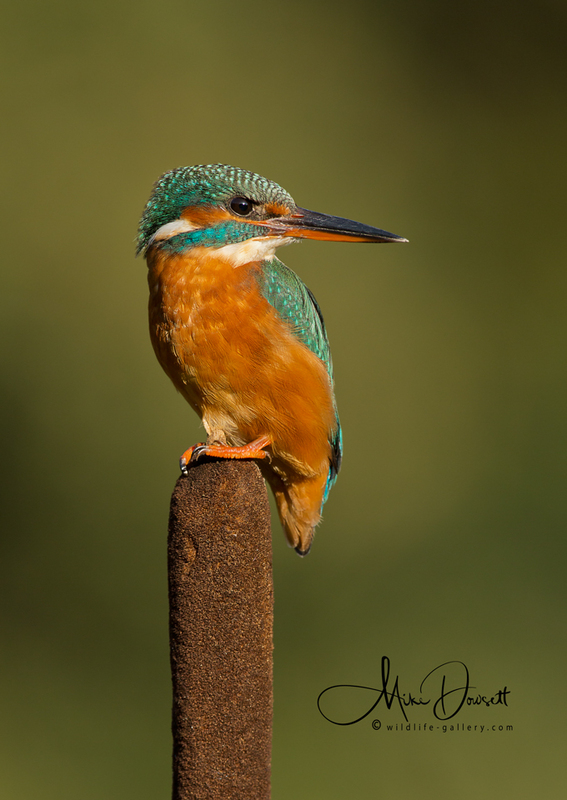 Kingfishers primarily eat fish and prefer to eat small fish 5-12cm in length. 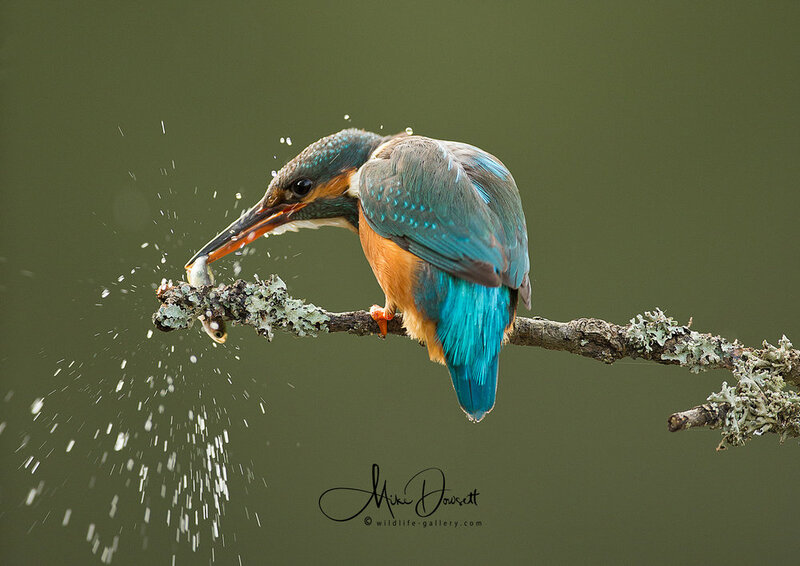 Minnows and sticklebacks are a favourite food, but all ‘live’ fish of the correct size will be taken and swallowed whole. 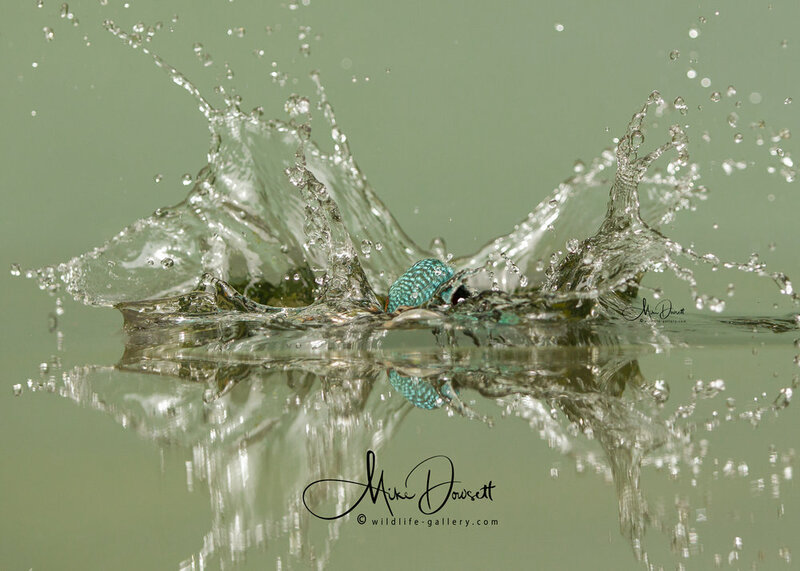 The fish must be swallowed headfirst to prevent choking. 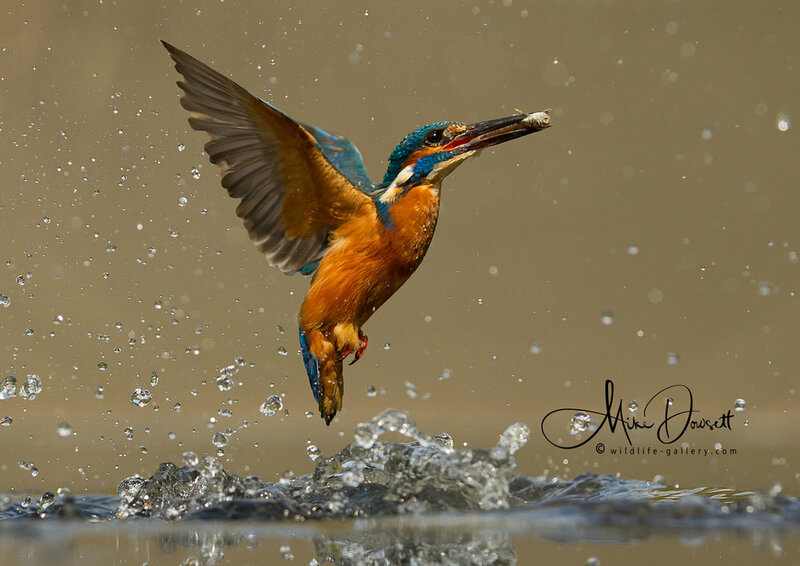 Surveys have determined that a Kingfisher would need to eat on average 18-20 small fish every day to survive. 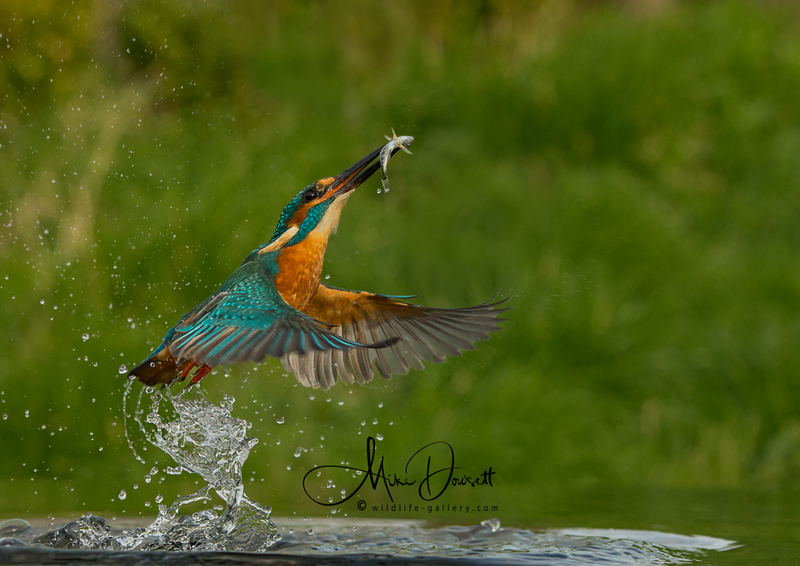 Many more must be caught during the breeding season, when the male will have to catch enough fish for the chicks and the female. 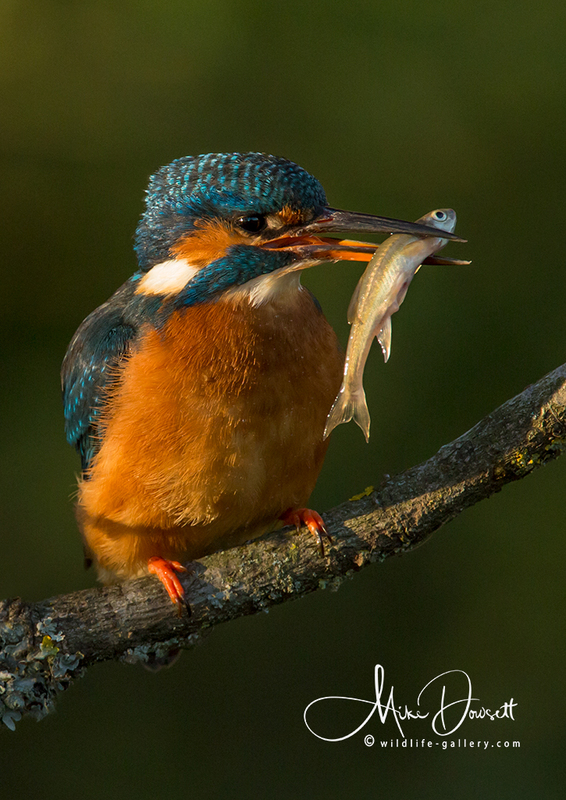 Apart from fish, Kingfishers will eat most aquatic insects and amphibia such as frogs and also small crayfish.